It's that time again.. our Anything Goes challenge at Crafting with Friends! We have an amazing sponsor.. Moonflower Digi Stamps! Why not pop over and take part in our challenge. 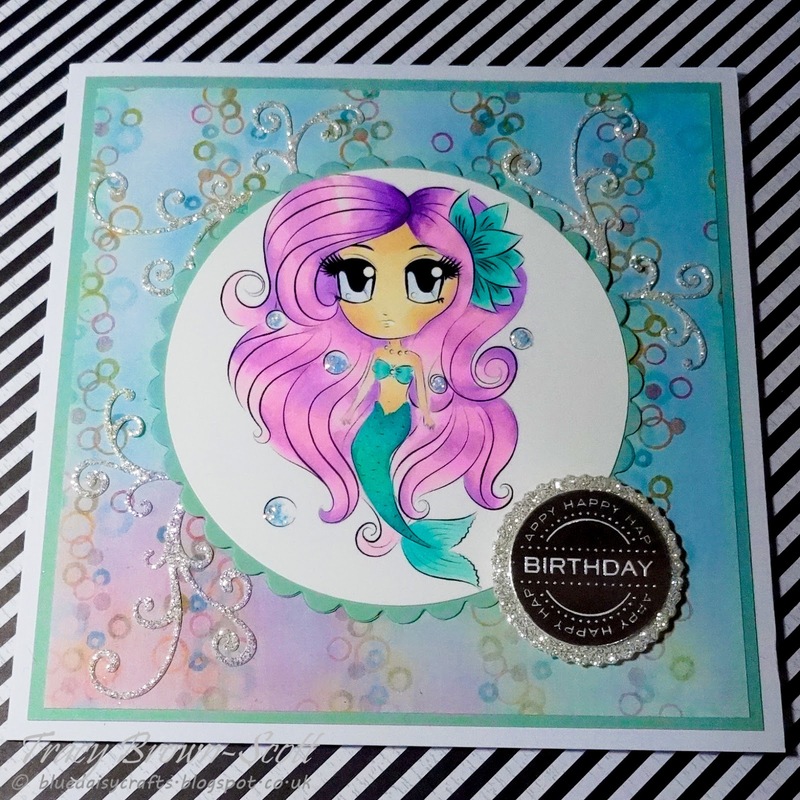 Here's my DT card using Gigi Little Mermaid. Great card, loving the cute image and your colouring. Great background effect.